Keywords are the markers that point people in the direction of your web presence and knowing how to use, and more critically, use the right ones will make all the difference in the success of your website. While you might think the most common names for your products and services are the best choice in which keywords to use, you could be missing a huge share of your market. Knowing the right keywords to use in your search engine optimization efforts is going to bring you a much greater return on investment. It only takes a bit of research. Obviously, choosing the best keywords is a critical part of setting the backbone to your search engine optimization efforts. Always double check with places such as Google Keyword Tool before assuming the keyword you are going to pick is correct for your business. For example, if your business sells sunscreen you might think sunscreen would be your best keyword. That in and of itself would have such a huge competition that you might never get found with just that. Instead, you might find “sunscreen for sensitive skin” or even, “prevent sunburn” are going to be the best keywords to use. Ideally, choosing a keyword or keyword phrase that is low or medium rated for competition, but shows a high number of monthly searches are going to work out best in the long run. Keyword Tools will help you find that information. 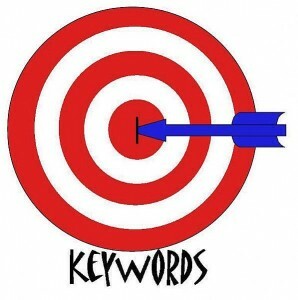 While you are searching for these keywords, make sure they are words that your specific target is most likely to use. Every generation has their own language, the same as industries have their own technical jargon. Listen closely to how the bulk of your customers talk and mirror that language in your keyword strategies to better help potential new customers find your online presence. Finally, mix it up. For example having a keyword phrase that is very short and specific matched with a keyword phrase that will directly call to your local business. When you take time to research the best keywords, make sure they are in the language most likely to be used by your target market and use a mix of short and longer keywords, you should have a great formula for making sure your website ranks highly in the engines. When you have completed the work for your website, remember to add those keywords to the search engine optimization to your social media profiles for a significantly better return.